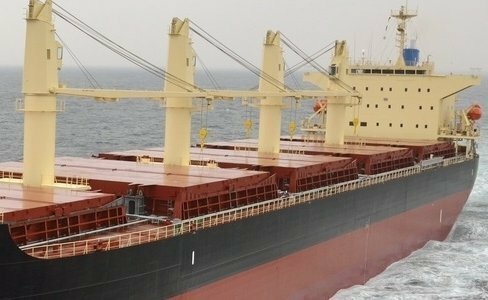 Japan’s Nitta Kisen Kaisha has been fined $1m by the US Department of Justice after one of its ships was found to have polluted local waters and tried to cover up the incident while delivering a cargo of steel to the port of Wilmington. The line was convicted and sentenced for obstruction of justice and falsification of an oil record book to cover-up intentional oil pollution from its ship, the Atlantic Oasis . “The company admitted that its engineers failed to document the illegal discharge of oily wastes from the vessel’s fuel and lubrication oil purifier systems, as well as discharges of oily bilge waste from the bilge holding tank and from the vessel’s bilges,” a release from the justice department stated. “During a U.S. Coast Guard inspection of the vessel on May 17, 2017, a junior engineering crew member provided information to the inspectors about how the oily wastes were being discharged by the order of Chief Engineer Youn. The crewmember also showed U.S. Coast Guard inspectors where the hoses that were used for the discharges were hidden. The owner of the ship was ordered to pay $1 million, placed on probation for three years, and ordered to implement an environmental compliance plan.